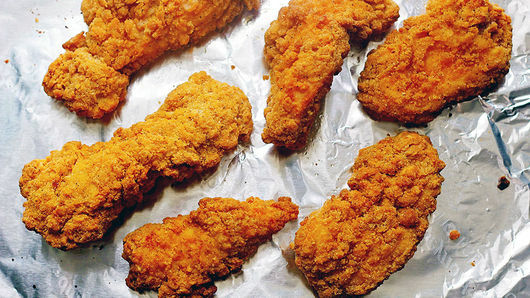 Make chicken tenders as directed on package. Meanwhile, spray waffle maker with cooking spray; heat as directed by manufacturer. Separate dough into 8 biscuits. Add each biscuit one at a time to heated waffle maker; close lid, and cook up to 3 minutes or until golden brown, and remove. Repeat, starting by spraying waffle maker until all waffles are complete. 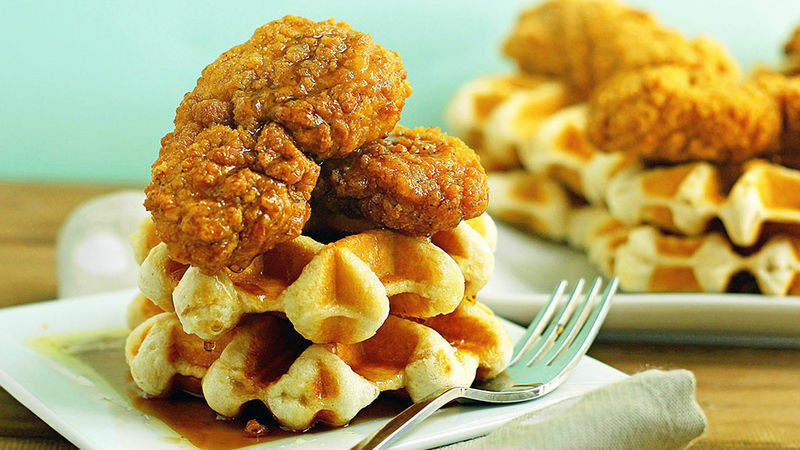 To assemble, stack two waffles on top of each other, then carefully place 1 or 2 prepared chicken tenders on top of stack. Drizzle with syrup and butter. 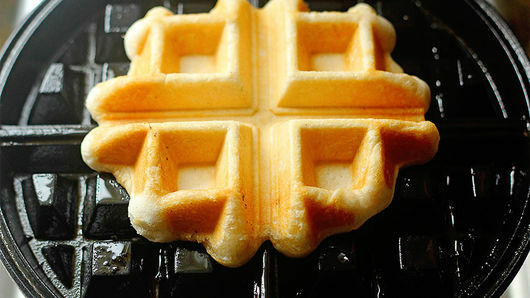 While any waffle maker will work, Belgian waffle makers work best due to the larger grid of the appliance. Keep waffles warm by covering with foil.